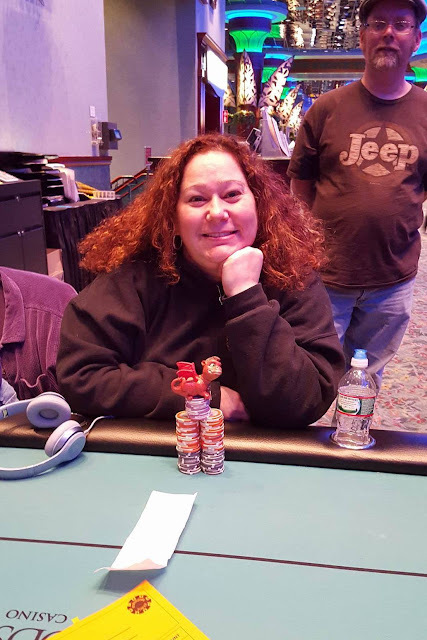 The remaining three players (Linda Swears, Geraldine Gaber, and Francine Lee) have made a chop deal. They will each receive $3,070. They are now playing it out for the trophy. 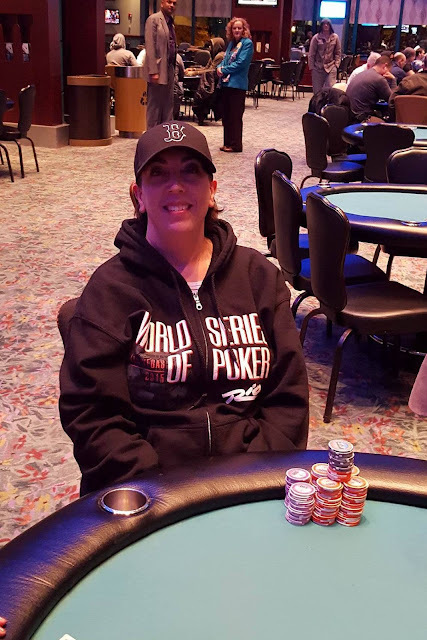 Defending champion Patrician Moody eliminated in 8th place, taking home $576. Flight A has concluded, and the chip leader from this flight is Thomas Marzilli with 265,100. Coming in a close second is Justin Higgins with 261,900. Players are now beginning the final level of play for the evening. In 40 minutes, they will bag and tag for the evening. All players making it through in Flight A will combine with those that finish tonight from Flight B and resume play for Day 2 tomorrow at noon. Sirish Shetty raises to 2,000 in middle position. Jonas Bendiks reraises to 5,000. Action folds back around to Shetty who shoves all in. Bendiks asks for a count and upon hearing the 57,300 total, goes into the tank. "This is the second time such a thing has happened," Bendiks says aloud. He then turns towards Shetty and says, "You like high variance spots, that's for sure." After a minute of thinking, Bendiks calls the all in. The flop comes [qh][10h][2d], keeping Shetty's aces in the lead, but giving Bendiks a gut shot straight draw. 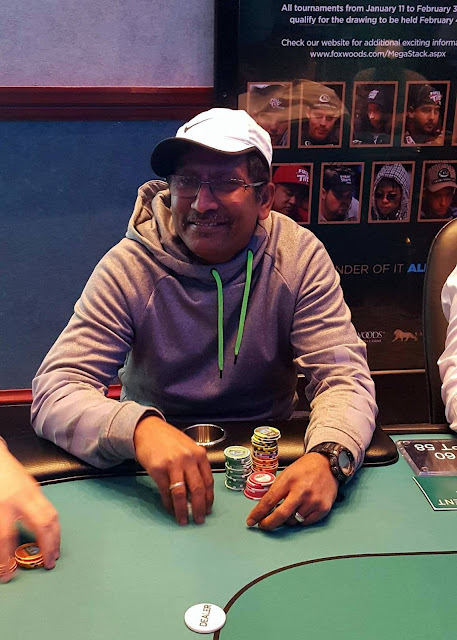 Fortunately for Shetty, the [6d] turn and [ad] river are safe, and he is awarded a full double up near the end of the Day. 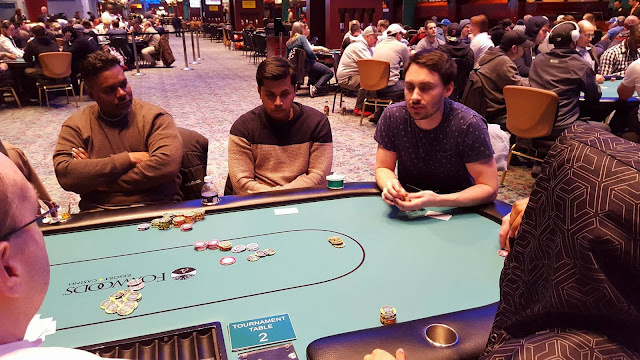 In the second level of the day (50/100 blinds) on a board reading [9c][8d][2c][6s], Vinod Ramnani bets out from the small blind, James Magner calls in middle position, and the player in the cutoff shoves all in, having both players covered. 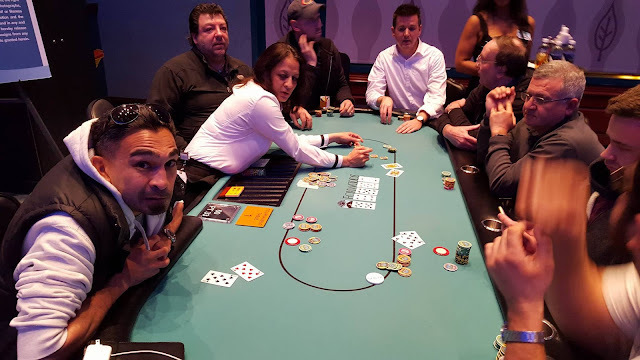 Ramnani quickly calls the all in for less, and James Magner is also all in for less than the cutoff, but more than Ramnani. Fortunately for Ramnani, the [10s] on the river is safe for him, and he is awarded a full triple up to 90,000. Magner is eliminated from play, and the player in the cutoff is left with 1,500 in chips. A player in middle position raises to 1,700. 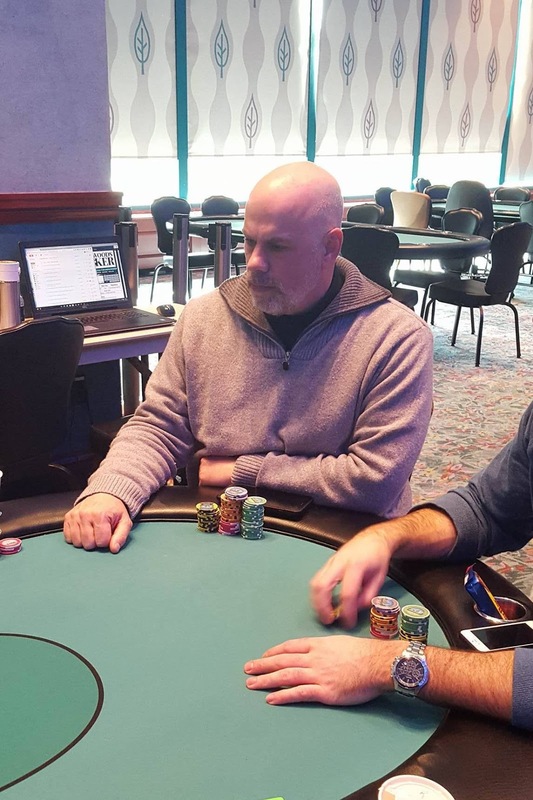 The player in the cutoff calls, as does Brad St. Vincent in the small blind. The flop comes [ad][qh][2s]. St. Vincent checks, the original raiser bets 2,100, the cutoff folds, and St. Vincent calls. Both players check the [6c] turn and [8s] river. St. Vincent says, "You are good," as he holds his cards out in front of him, without actually mucking them. His opponent says, "No I'm not." and doesn't turn over his cards. Both players pause for about 15 seconds before St. Vincent says, "I have four-high." His opponent replies, "Oh, I have five high," as he turns over [4d][5d]. St. Vincent chuckles lightly and throws his cards into the muck. 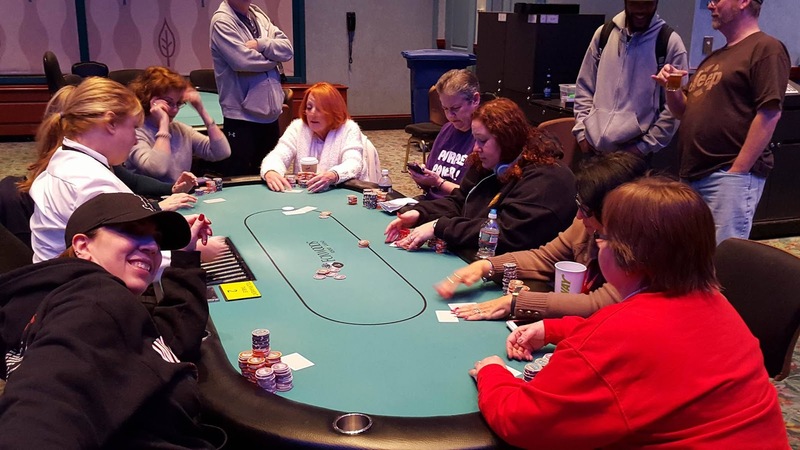 According to a player at the table, Chris Tryba and another player at the table got it all in on a flop of [ah][4h][3d]. 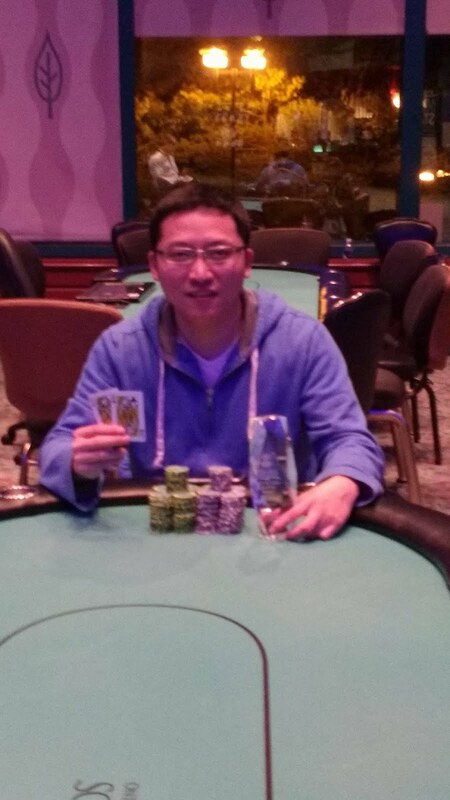 Tryba had flopped a set holding [3c][3h] against his opponent's [jh][9h] (flush draw). The [jc] turn, and the [jd] river gave Tryba a full house, eliminating his opponent from play and chipping Tryba up to around 55,000. 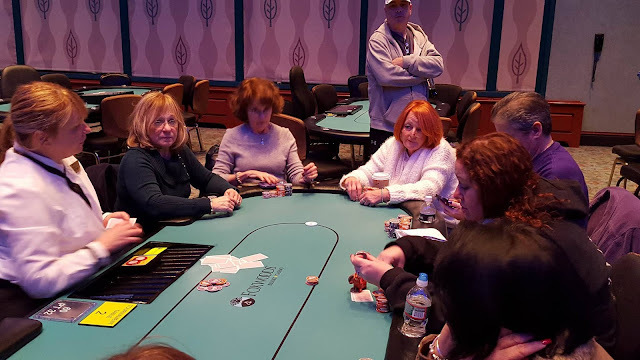 There were a total of 69 entries in today's $250 No Limit Hold Em Ladies Event. 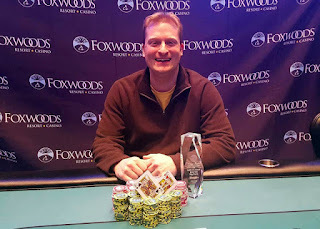 Please visit us at www.foxwoodslive.com, or watch live on Twitch for our feature table of Event #12, Flight A ($1,650 NLH Main Event/Championship). We are currently experiencing issues with the live stream broadcast at www.foxwoodslive.com. We are working to correct the issue and will have it up and running ASAP. 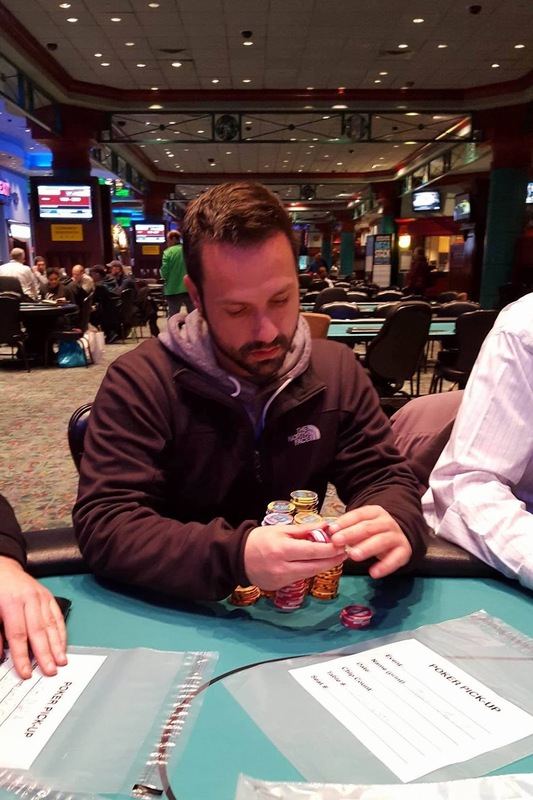 John Lyons raised pre-flop and got two callers. The flop came [qs][9h][ac]. It checked around to Lyons who bet 1,000. One of his opponents folded, and the other called. The [4s] came on the turn. His opponent checked, Lyons bet 3,000, his opponent raised to 8,000, Lyons re-raised to 18,000, his opponent shoved all in, and Lyons snap-called. Lyons turned over [qc][qd] for a set of queens versus his opponent's [9d][9c] (set of nines). The other player that folded on the flop said that he had folded pocket fours, and would have turned a set as well. The river was the [7s], sending his opponent to the rail, and doubling Lyons up to just under 60,000. 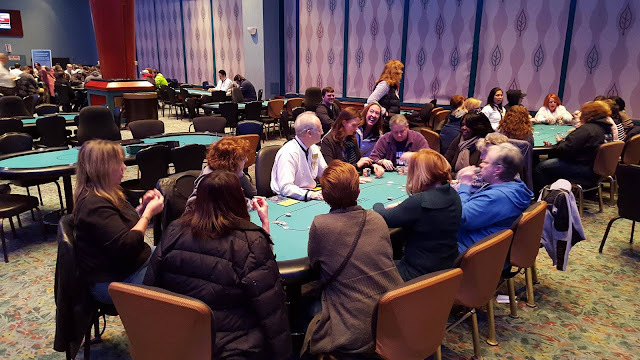 On a board reading [qs][4s][2d], Keith Trumbo bets 700, the player in the big blind calls, and the General raises to 1,700 in middle position. Both Trumbo and the big blind call. All three players check the [jc] turn. When the river comes the [7h], Trumbo bets out 3,500, the big blind folds, and the General goes into the tank. After nearly two minutes, the General calls. Trumbo shows [kc][kd], and the General mucks his cards. On a board reading [as][9h][8h], a player in the small blind checks, as does the big blind, and Debbie Silve bets 2,000 in middle position. Only the small blind calls. The small blind checks the [3s] turn, and Silve bets 3,000. Her opponent calls. Both players check the [6d] river. 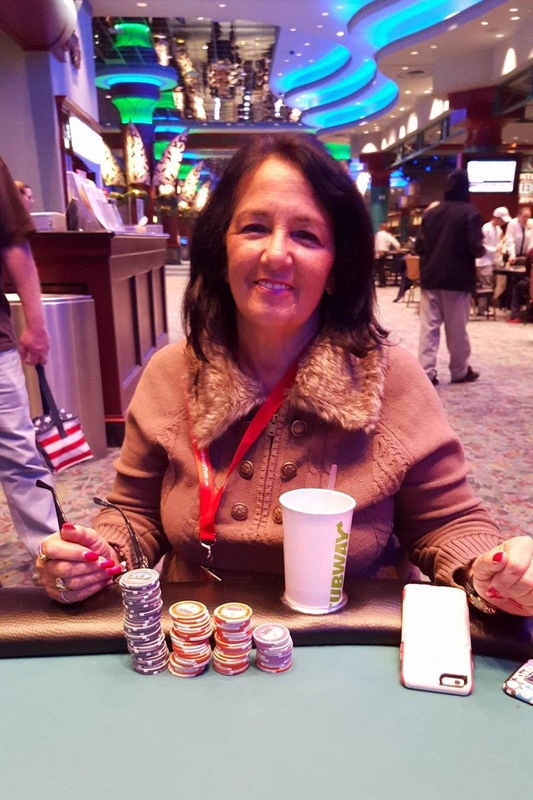 Silve turns over [ah][3h] for two pair. 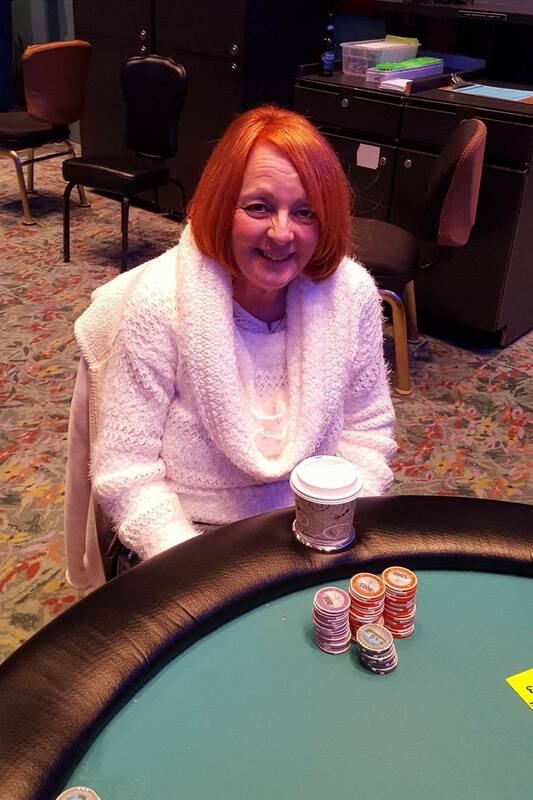 Her opponent sarcastically says, "Nice," as she flashes [ad][7d], then throws them into the muck. 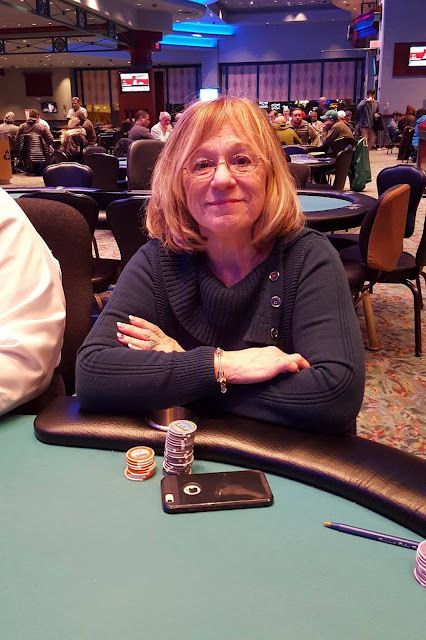 Silve is now sitting with around 30,000 in chips. 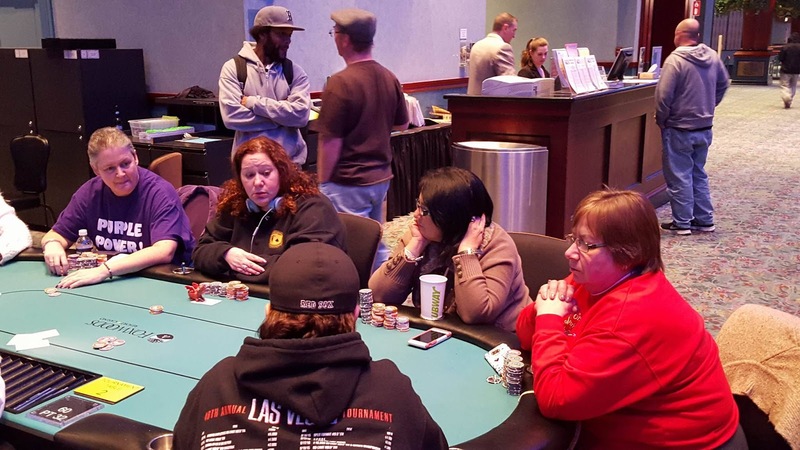 At the present moment there are 58 entries, and players are just about to take their first break of the day. Peter Sennon makes it 200, The General raises to 1,000 on the button, Sennon shoves all in for 30,000, and The General quickly calls. The board runs out [jc][js][3d][6h][3c], eliminating the General from play. Sennon is now sitting with just over 60,000. 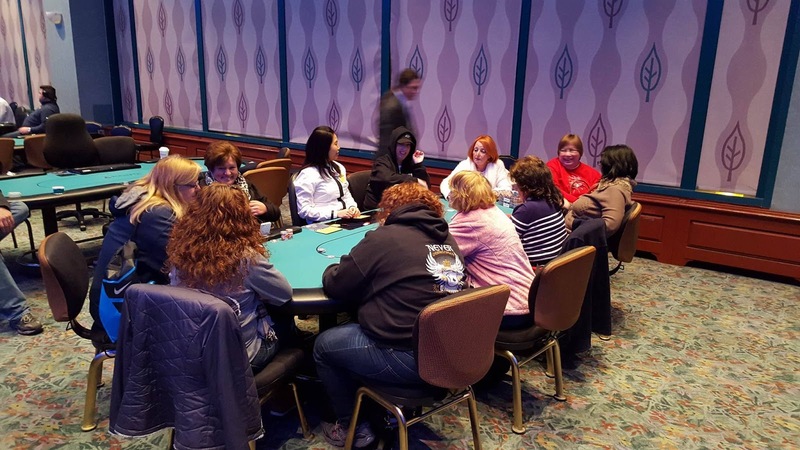 The $350 No Limit Hold Em Ladies Event tournament is now under way. 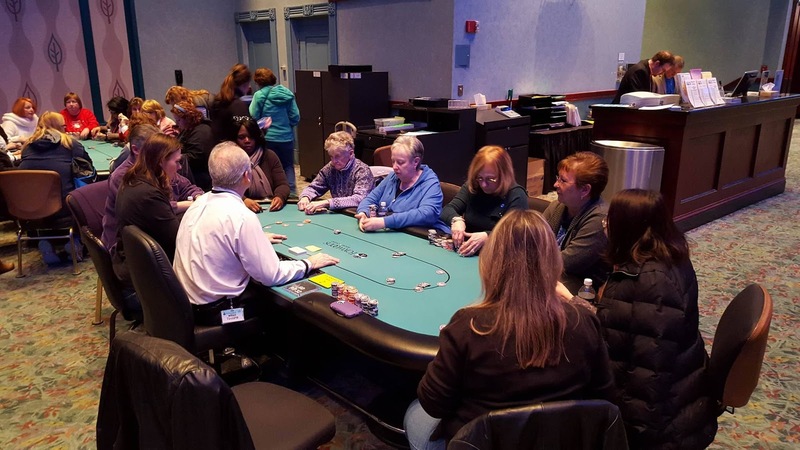 This tournament comes with 30,000 in chips, and players are allowed to enter and re-enter until the start of level 7. Levels are 30 minutes in length. 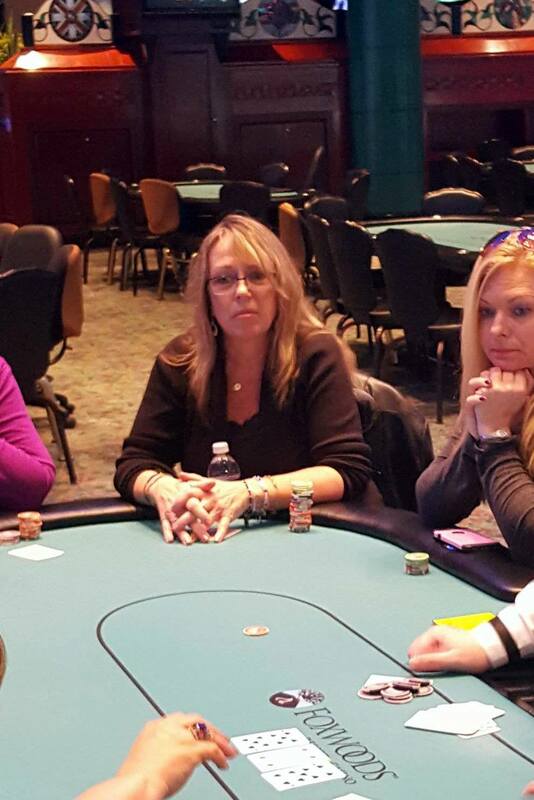 Flight A of the $1,650 No Limit Hold Em Championship tournament is now under way. 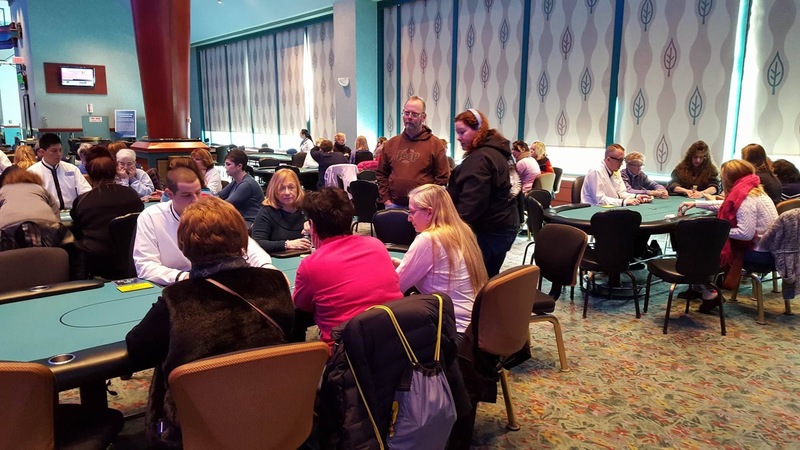 This tournament comes with a $300,000 guarantee, 30,000 in chips, and players are allowed to enter and re-enter until the start of level 10. The first 12 levels will be 40 minutes in length, and levels 13+ will be 60 minutes in length.